If you’re thinking of buying a new smartphone, chances are the new Galaxy S6 and Galaxy S6 Edge have crossed your mind. Arguably Samsung’s best ever smartphones, the new devices are packed full of features but as the saying goes – everything comes at a price – and this has never been truer than with Samsung’s new devices. 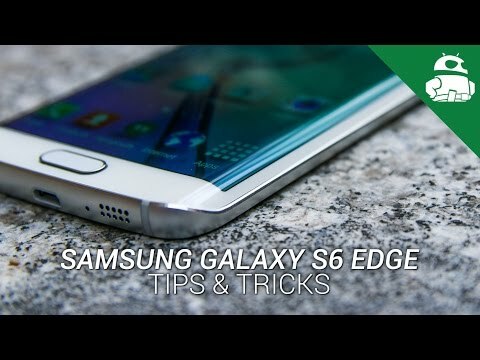 The biggest change in the Galaxy S6 and Galaxy S6 Edge is the lack of removable storage which means – just like the iPhone – you are limited the storage option you buy. With previous Samsung devices, you could buy the lowest storage option and then increase this using a microSD card but with the Galaxy S6 and Galaxy S6 Edge, this is no longer an option. With the lack of expandable storage in mind, we want to ask the question – are Samsung’s Galaxy S6 and Galaxy S6 Edge overpriced? To answer this, first we’ll look at what the smartphone gives you and then we’ll look at how it compares in pricing to the Apple iPhone 6 and iPhone 6 Plus, which are traditionally the most expensive smartphones on the market. Armed with almost everything Samsung can pack into a mobile device, the range of features includes an outstanding 16MP OIS camera, an Octa-Core 7420 Exynos processor, 3 GB of industry leading LPDDR4 RAM and UFS 2.0 memory (seriously quick stuff) a stunning glass finish and a Quad HD 2k Super AMOLED display that offers an eye-popping 577 pixels per inch density. As we said before however – all of these outstanding features come at a price and a hefty one at that. The other notable features include a revamped fingerprint sensor, all new TouchWiz experience and dual-wireless charging allowing you to use either the PMA or Qi wireless charing standards. The latter especially is a new feature for mobile devices which have traditionally used either of the standards but not both and as it’s baked into the device, there’s also no need for an awkward after-market accessory. 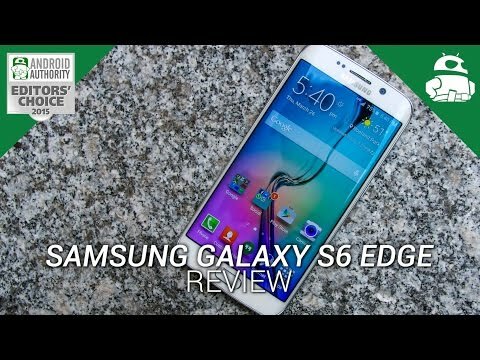 There’s a lot more to both of Samsung’s new devices which you can read in Josh’s Galaxy S6 review and Lanh’s Galaxy S6 Edge review. Related – Wireless charging in 2015 – what you need to know! Now to the price – as the most expensive Samsung smartphones made, how do they compare to the smartphone price benchmark set by the Apple iPhone 6 and iPhone 6 Plus? In the table below, we’ve included the US and UK pricing for each of the handsets from either the supplier direct or Amazon (in the US, Samsung sells the Galaxy S6 off contract through Amazon). Pricing in bold is estimated based on the latest available market information and is not a confirmed price. On average, the Galaxy S6 is about $50 more expensive than the comparative iPhone 6 variant in the USA whilst the Galaxy S6 Edge works out at around $100 more than the iPhone 6 Plus (except for the 128GB model which is approximately $50 more). That’s not too bad when you consider the Galaxy S6 has vastly superior specs compared to Apple’s latest smartphones. The key issue of the Galaxy S6 and Galaxy S6 Edge pricing comes in the UK where Samsung’s availability is somewhat suspect. Firstly, the 128GB models aren’t available (the pricing in the table is based upon inside information that’s an estimate) which means importing them from Amazon Germany which actually works out cheaper than buying from Samsung UK. Secondly, the Galaxy S6 Edge is only available in 64GB – the 32GB model doesn’t seem to be coming to the UK – which is priced at £760 and is £60 more than the iPhone 6 Plus. Overpriced or value for money? So are Samsung’s devices overpriced or do they deserve their tag as the most expensive Samsung smartphones ever made? At first glance, the handsets do seem to be overpriced but once you begin to experience them and use them, you quickly realise there’s a reason they have such a large price tag. On average the Galaxy S6 is $50 more than the iPhone 6 whilst the Galaxy S6 Edge is around $100 more. Buying a handset off-contract is certainly an expensive proposition and on contracts (both in the UK and the USA) the pricing of both handsets is quite comparative. In the UK, the Galaxy S6 and Galaxy S6 Edge are on average around £5 per month more than the iPhone 6 and 6 Plus launch price. Looking at the comparative specs, it’s clear that the extra money is definitely worth it. Sure we’re comparing Apples and Oranges here (pun intended) but spec-for-spec, the Galaxy S6 and Galaxy S6 Edge are far superior to Apple’s new devices. Apple has always insisted that specs don’t equal the experience and this has been proven before but this doesn’t prevent comparisons of the specs. 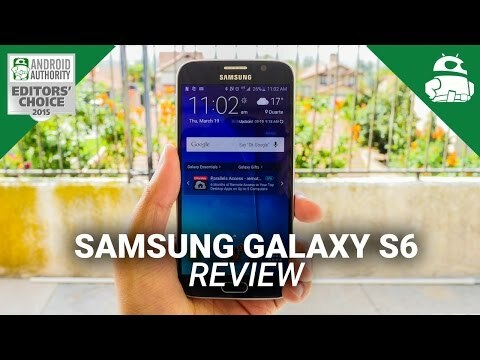 The Galaxy S6 and Galaxy S6 Edge are certainly the most expensive main-stream commercial handsets made but there’s good reason for that – simply put, they feature the best specs that money can buy. From the best display to the fastest processor and from an excellent camera to outstanding design, the handsets are packed full of the best that Samsung has to offer. To the original point – are they overpriced or do they offer value for money? This answer is one that will change for each person but from an impartial view, they certainly offer value for money. The question really is whether you will gain enough from the device for it to offer you value for money. Do you think the Galaxy S6 and Galaxy S6 Edge are overpriced or should the best specs that money can buy come with the highest price tag? Let us know your views in the comments below.